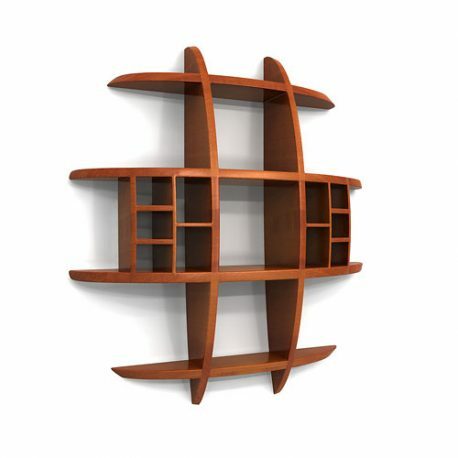 This unique display shelf has remained one of our most popular pieces. 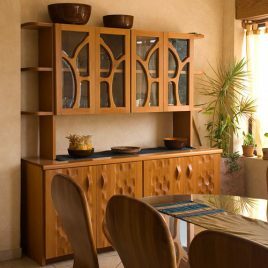 The linear flow of the shelves combined with a subtle curve in depth, gives the piece a whimsical feel. Great for a varied display of books, collections and other treasures. Can be built to custom sizes. 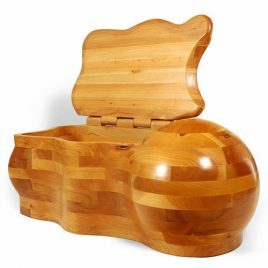 This handsome chest takes a traditional design and adds strength and visual appeal. 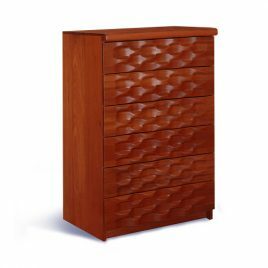 Featuring the "wave technique", the front of the drawers add a bold presence, while the clean lines of the solid frame give it a timeless quality. This clean lined, simple design breaks away from the usual exterior curves used in many of the artist's pieces. Instead the visual dynamic is captured in the "wave technique", a style borrowed from his popular door series. 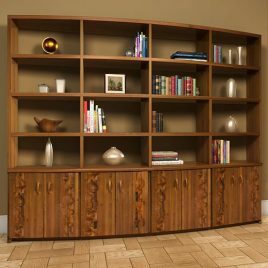 This magnificent shelving unit features a gradual sweeping curve that will define your space. This wildly imaginative design has captured the imagination of many a client. The curve and the sphere morph together to give glimpses of animal forms, space travel, and canyon cliffs. A blanket chest - A toy box - A whimsical marvel in any room.